Posted on October 22, 2018 by Dave wrote in Blog. Whether you are a car enthusiast or just a casual driver every vehicle owner needs a certified dent repair technician. Your vehicle is the second most expensive investment you make, next to your home. Protecting the long term value of your vehicle is very important but finding a fast, trustworthy, and reliable tech in Sahuarita, Tucson Arizona can be frustrating. Luckily Autohail has you covered! 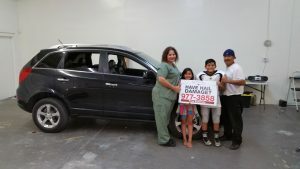 With our state of the art tools, advanced techniques, and award winning customer service it’s no wonder our customers are calling us the best in Sahuarita – Tucson Arizona dent repair. Paintless Dent Removal (PDR for short) is a form of dent repair which does not affect the paint. This may not seem like a big deal but it is! Nobody can bake your paint at the temperatures the manufacturer did and so nobody can replicate the durability of the factory finish. No job can be completed without the proper tools and ours are no joke. We choose only the best equipment on the market to guarantee your vehicle is getting the treatment it deserves. Our tools give us an advantage over the competition by allowing us to fix anything from a simple door ding to a basketball sized dent. In fact, the owner of AutoHail, LLC also owns 2 PDR tool companies and works with all the major tool manufacturers and distributors throughout the world so we always have access to the absolute best! In addition to our equipment we’ve expanded our PDR techniques to cover even the worst hail damage. 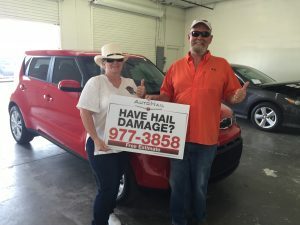 When Wylie, Texas had the worst hail storm in history, all the other PDR companies went running but we set up shop and helped the community for two years! This is just one more reason why Auto Hail is the best choice for any Sahuarita, Tucson Arizona dent repair situation! Here at Auto Hail we treat PDR a little differently from a job. To us it’s an art. Every job and every client brings a different experience keeping our work unique and exciting. Over the years we’ve received more than a few awards for our customer service but we prefer to let our work speak for itself. 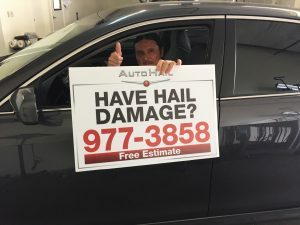 Call 800­-798-HAIL (4245) to find out what makes Auto Hail the best in Sahuarita – Tucson Arizona dent repair!